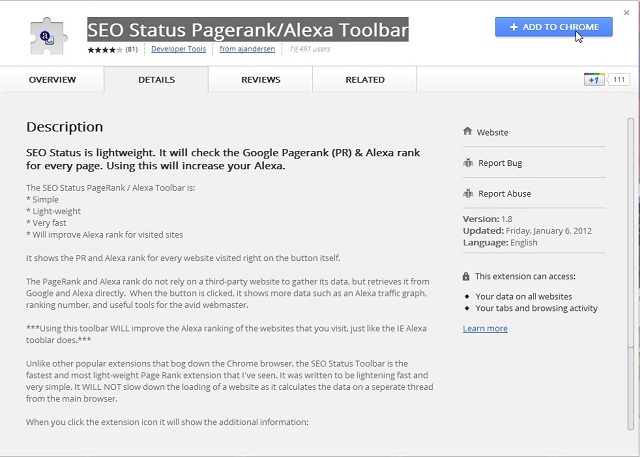 There is an extension named SEO Status Pagerank/Alexa Toolbar that you should install in order to Check Google Page Rank and Alexa Rank for every webpage/website right on Google Chrome rapidly. This extension query Google Page Rank and Alexa Rank directly from Google and Alexa so these numbers are always up to date. In addition, it’s very fast and won’t impact Chrome performance as it’s just for Google PageRank and Alexa Rank, nothing else. I actually go to check Google PageRank and Alexa Rank of my website all the time, even few times a day to see how it’s growing. Now, it seems my life’s easier. By installing this extension, it will improve Alexa Rank for websites/URLs you’ve visited especially when you own some. 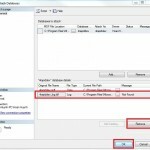 Try to open a favorite URL such as: http://4rapiddev.com and see. When click on SEO Status icon on the top right of your Chrome, a popup comes out with current Alexa Rank and Google PageRank. Fast? wohoo, it’s working on Mac too.